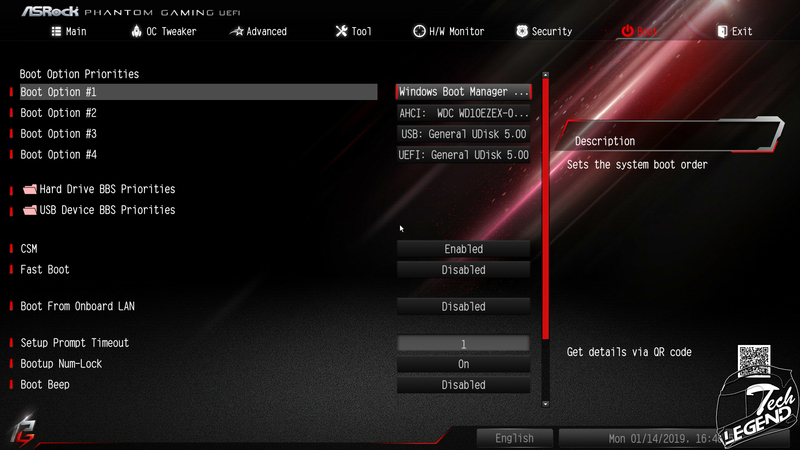 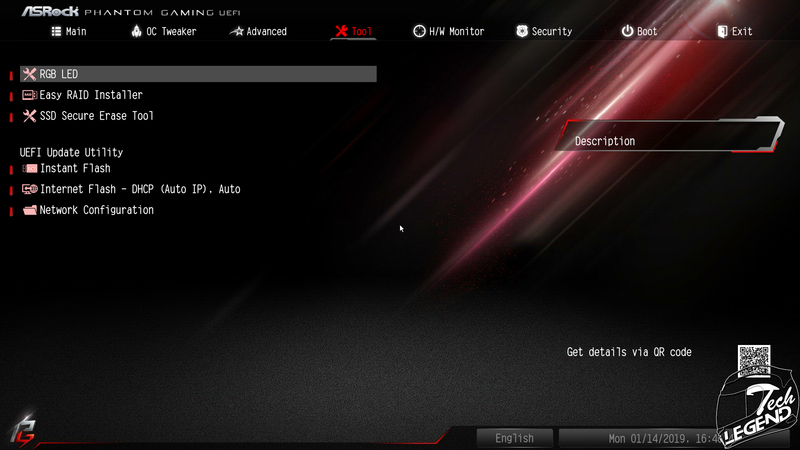 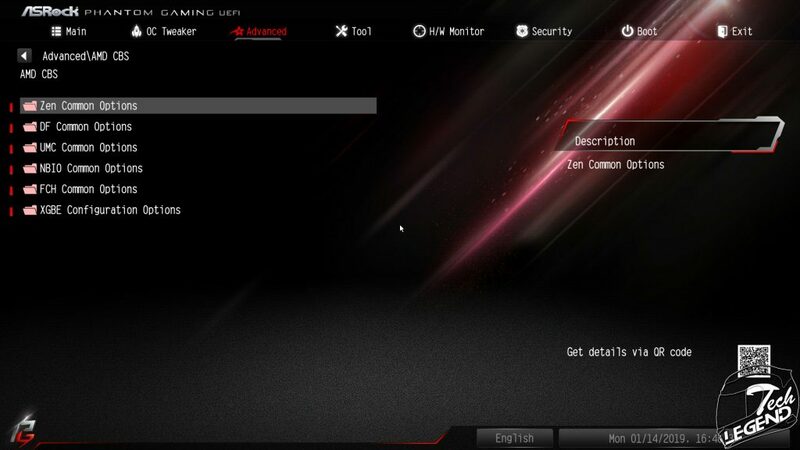 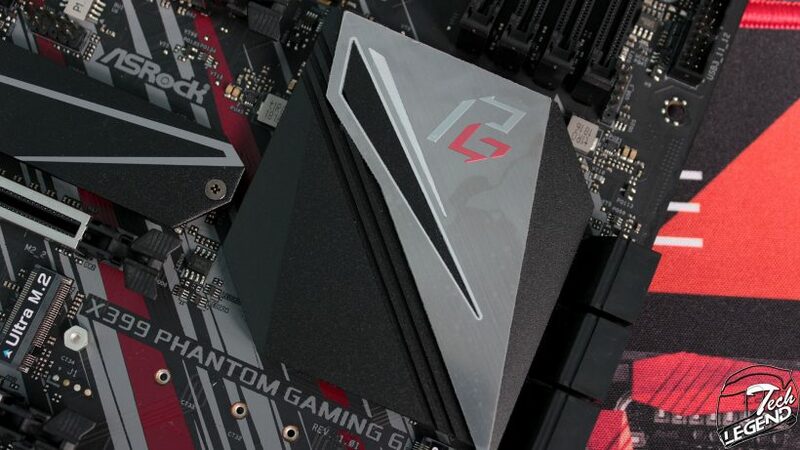 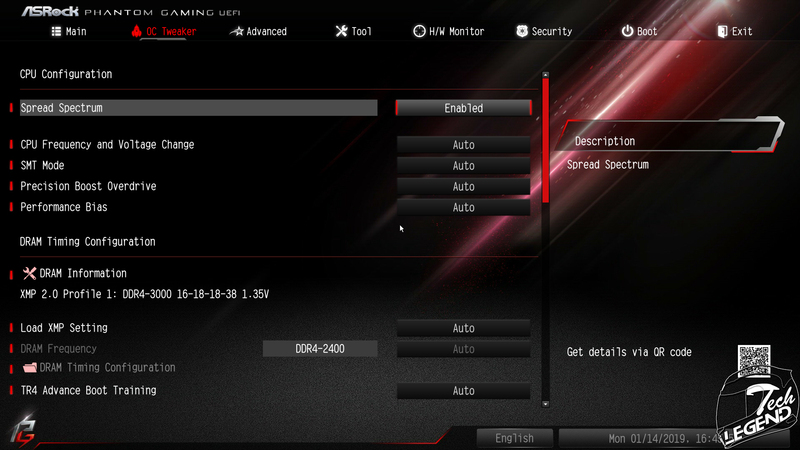 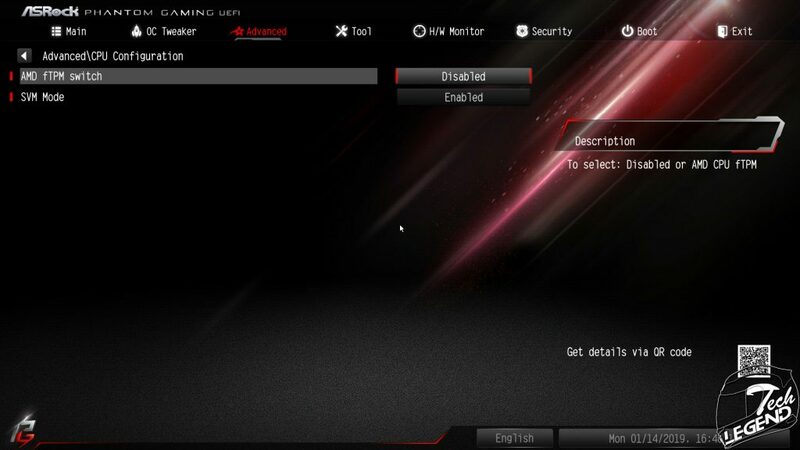 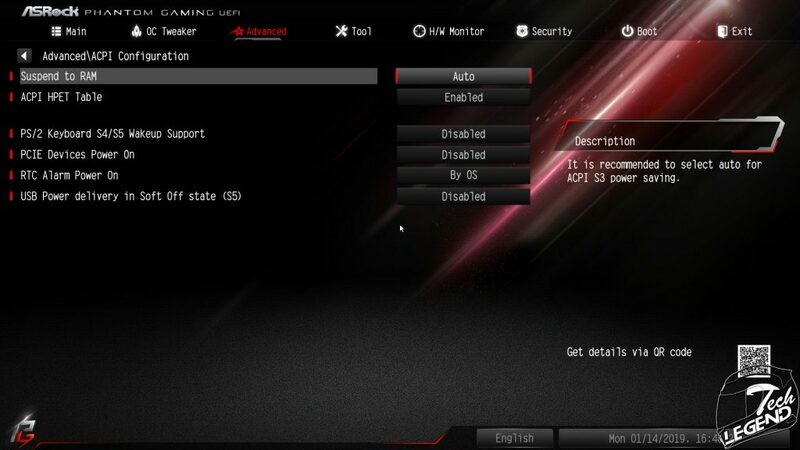 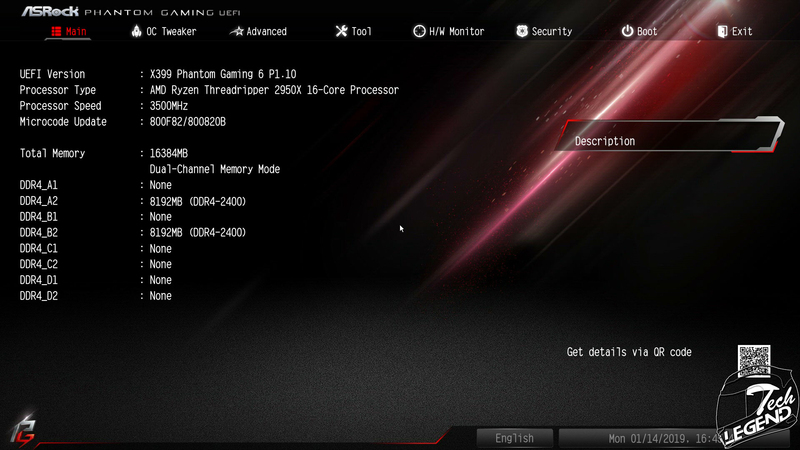 The bios utilizes a simple interface, and while other motherboards from ASRock and other manufactures will start and offer an Eazy Mode page as the start page of the Bios. The X399 PG 6 does not benefit from an EZ mode for its bios. 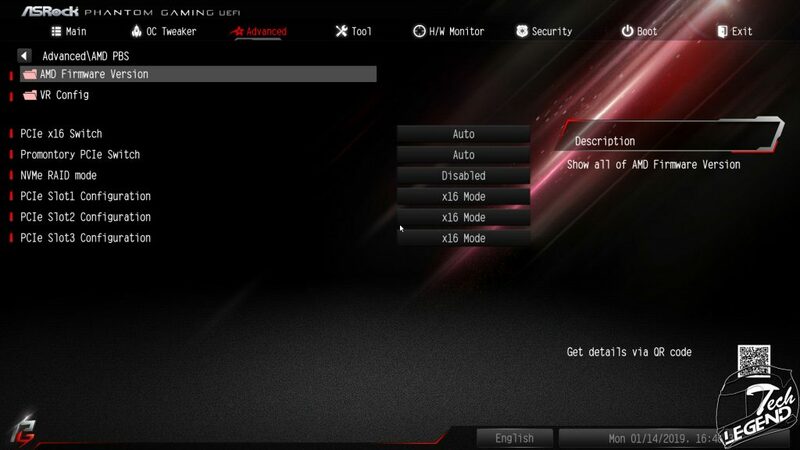 While not a drawback, the lacking of such a mode is worth mentioning, especially since many people will use the EZ page for quick and easy monitory of fans, temperatures and other system information. 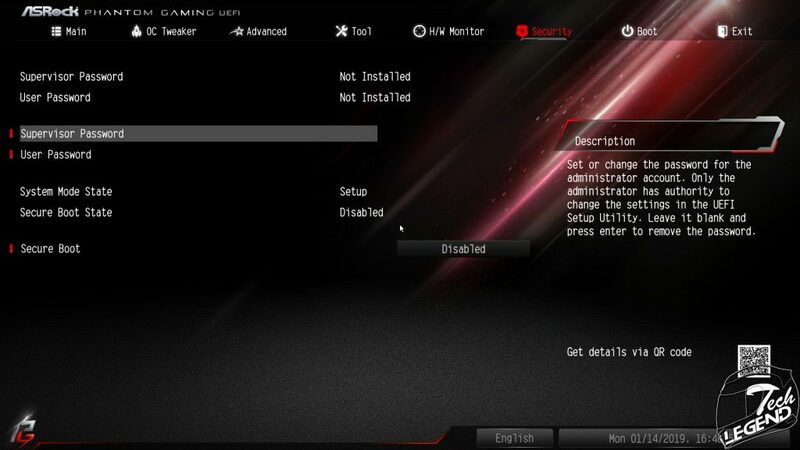 The interface is easy to navigate overall and the bios and POST screen will boot up in the highest resolution available on the used monitor. 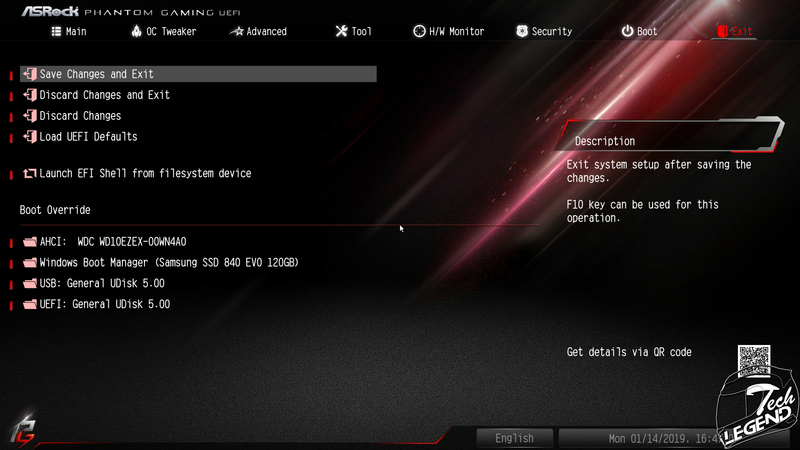 The background wallpaper for the bios is similar in design with the Phantom Gaming graphics and color scheme.